Posted at: 1/19/2012 08:00:00 AM . A new deal site has popped up and they are offering a great deal for all you Overstock.com fans. 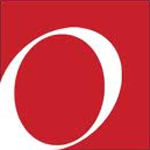 Groupalicious is currently offering a promotion for Overstock.com. Buy a $20 voucher for only $10. If you place your order through their new shortcut, o.co, you'll get free shipping. When you sign up through a referral link, you'll get $5 just for signing up. That means this deal will only cost $5 for a $20 voucher.